Creating solid, quality homes to be enjoyed for a lifetime. 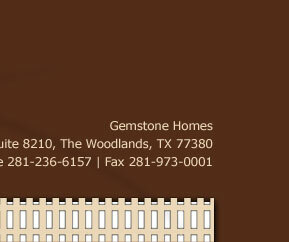 Gemstone Homes has been building beautiful custom and spec homes in Houston, Conroe, Montgomery, Fort Bend and throughout Texas for over a decade. We have built stunning, quality homes in rural areas, developed neighborhoods, new subdivisions, farm houses, patio homes and more. We take tremendous pride in each and every home built – from the moment the plans are designed until the keys are given to the new owners. The focus is always on communication and exceeding the needs of the client. We strive to develop long-term relationships. Why Choose a Gemstone Home? With so many choices when it comes to builders and even more horror stories about the building process and the companies causing such headaches for home owners, you must carefully select who you will entrust with such an important decision. 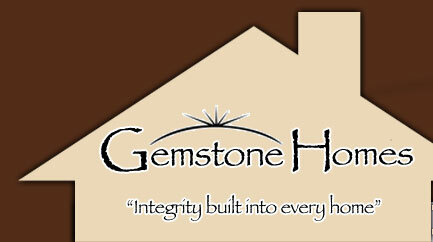 Gemstone Homes is a specialty boutique builder. We accept only 25 (or less) contracts per year. This allows us to ensure a faster build time while maintaining our tremendous quality standards. Our exclusive process gives each of our projects a high degree of personalized attention, more so than any other builder – especially large, mass production builders. By limiting the number of contracts we will construct, we are able to provide a seasoned, knowledgeable construction foreman on each project as well as the CEO of the company stopping by the site several times a week to inspect progress. Again these are actions that the larger builders cannot or will not do due to time and budget constraints. Our customer service is the best in the business. We have a 100% client satisfaction rating and we will happily supply references. 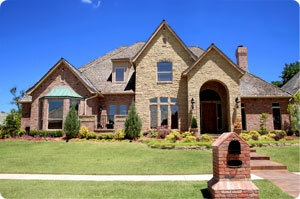 Your home is the largest investment you are ever going to make. 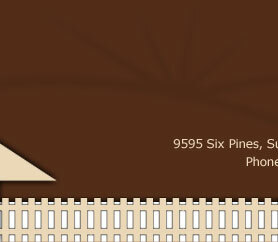 We are here to turn your dream home into a reality. With so many plans available, we can assist you in finding the one that is perfect for you. 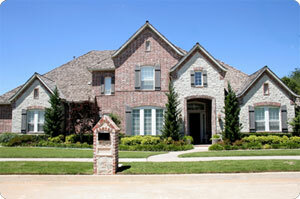 The plan that has every feature you have dreamed about and envisioned. We also have many in-house plans available to choose from ranging from 1,400 square feet to over 7,500 square feet.